Spend your Saturday in a Winter Wonderland! 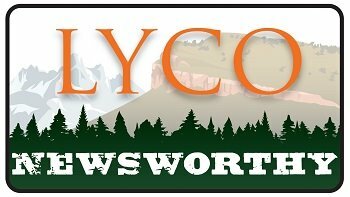 The holidays may have ended, but the celebration of the season continues in Lyons, with two more Saturdays of small-town fun! 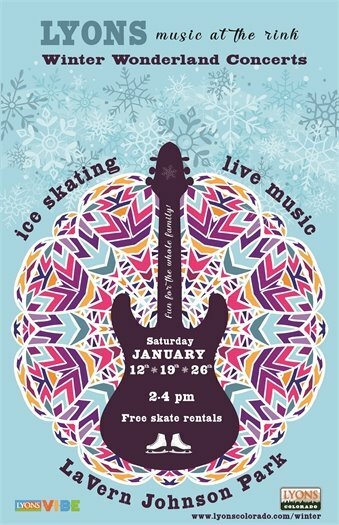 On January 19 and 26, join the community in LaVern M. Johnson Park, for live music, free ice skating and skate rentals, hot cocoa, and winter festivities for the whole family. Help us keep this event green by bringing your own mug for hot cocoa! January 19: Cold and In the Way - KC Groves, Erinn Peet Lukes, Bonnie Elizabeth Sims, Charlie Rose, Natalie Rae Padilla, with hot cocoa donations going to the Lyons Middle Senior High School Band! January 26: The Rampart Street Stompers, with hot cocoa donations going to the Lyons Community Foundation! In observance of the holiday, the Town of Lyons municipal offices will be closed Monday, Jan. 21. Offices will resume normal operating hours on Tuesday, Jan. 22. The Board of Trustees meeting will also be held at its regular time of 7 p.m., on Tuesday, Jan. 22.